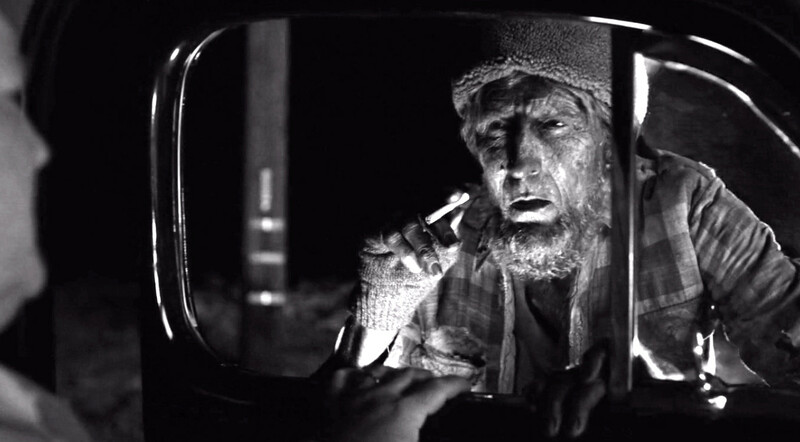 “Got a Light?” Twin Peaks Gets Seriously Weird – Dork Forty! I suppose I should start by saying that the episode’s been pretty divisive among viewers. I loved it, as you’ve probably already gathered. But my regular viewing buddy found it dull and exhausting, and (though I’m kind of putting words in her mouth here) overly self-indulgent. And that seems to mirror the reactions of the Twin Peaks online community, who were out loud and in force last night (one Facebook group’s Episode 8 Spoiler Thread had over a thousand comments in the first hour, and it was still going strong when I got out of bed this morning). What’s causing the dissent? Mostly, I think it’s because this episode is by far the most Lynchian thing David Lynch has ever made for a mass audience. It hearkens back to his early short films, surrealist experiments intended as moving art. Paintings in motion. Pieces intended to provoke thought and invoke mood far more than they were to tell a story. …and into… I’m not sure. Transitional? Sub-Atomic? Other-Dimensional? …spaces. The sequence goes on and on, a full ten minutes of gorgeous moving art and dissonant sound. My friend got the point after a couple of minutes, and completely disengaged. But this is my column, so I’m gonna give you my take. The mind-blowing explosion visuals give way to definite other-worldly spaces. There’s a shot of figures that look like the mysterious Black Woodsmen who have haunted the peripheries of the current season moving in time-lapse in and out of a gas station (a precursor to the room above the convenience store, perhaps?). 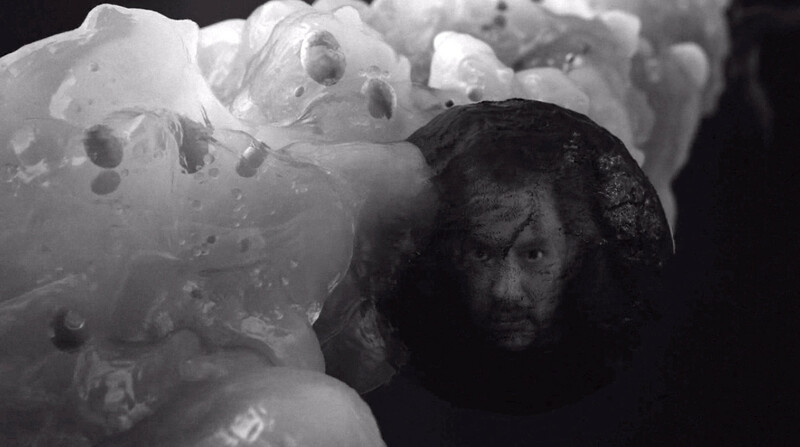 We see something that looks an awful lot like the Box Monster from the season premiere (credited here as “The Experiment”) vomiting up a gelatinous stream with free-floating egg nodules, and a large placental sac with the face of Killer Bob inside. Then the action moves on to the purple sea from part three, and a fortress atop a high peak, where a warning signal sounds. In response, the Giant (credited here as ???? ?, but now I’m thinking he’s maybe God) sprouts a golden light from his head. 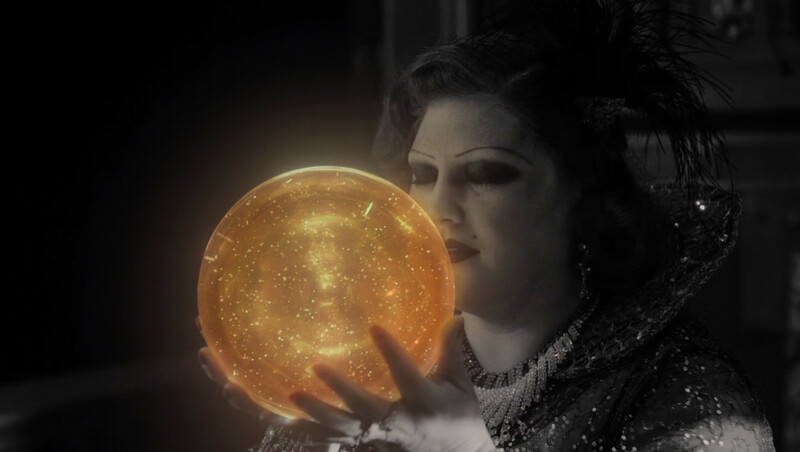 It briefly takes on a shape reminiscent of the Arm’s Evolution before coalescing into more of a nebula, from which emerges a glowing golden ball with Laura Palmer’s face in it. A woman credited only as “Senorita Dido” kisses it, and sends it off to Earth. We’re 40 minutes into the episode at this point, and not a word has been spoken since “this could explain everything” 25 minutes earlier. I’m still staring at the screen, wide-eyed, jaw literally hanging open. My viewing buddy has moved on to jokes about David Lynch’s apocalypse screen saver, and his dreadful droning 12-minute ringtone. After giving it some thought (because I’ve found myself unable to do much else), it occurs to me that this sequence (in fact, much of the current season) has the pacing and rhythm of meditation. The long, slow focus leading to revelation. Meditation is something Lynch knows a thing or two about, and I can’t help but think it’s informing his filmmaking here as much as it has his day-to-day life. He’s become such an advocate of Transcendental Meditation, in fact, that I wouldn’t be surprised if he wasn’t seeing the new Twin Peaks pacing as stealth TM training for his audience. Because, yes. After that long visual feast, we return to New Mexico 11 years later, and into something that feels like a 1950s alien invasion flick filtered through Cronenbergian body horror. A couple of young teenagers walk home from a date, and sweetly kiss before saying goodnight. 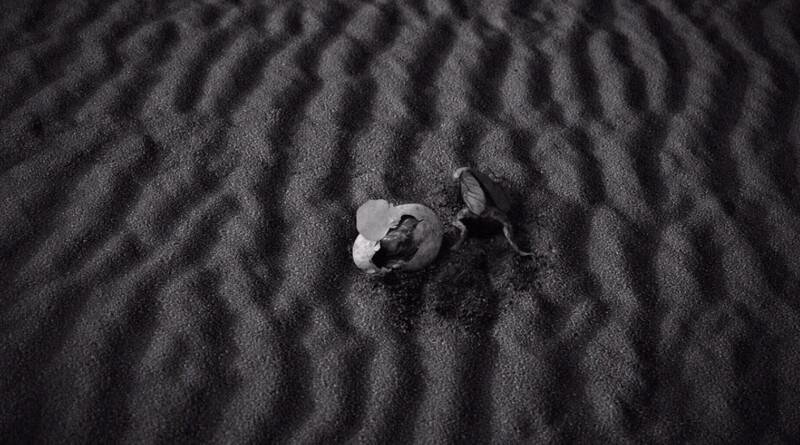 A strange cockroach-frog-thing hatches out of one of those Black Lodge eggs in the irradiated White Sands desert. And meanwhile, a group of the Black Woodsmen, crackling with the electronic static we’ve come to associate this season with the Black Lodge, go on a rampage, terrorizing motorists and taking over the local radio station. The horse is the white of the eyes. I call it a mantra because of the afore-mentioned meditation themes I have on my mind, but also because he repeats it over and over again, and everyone in listening range falls into a trance. One of those people is that sweet young teenage girl, and the episode ends with her unconscious encounter with the roach-frog-thing. That was the most daring, most brilliant, most “what the hell just happened?” hour of television I’ve ever seen. And yet, it’s also an hour of television that served the greater story, and made sense (at least, by Twin Peaks standards). The major revelation is that we now know how all this began. 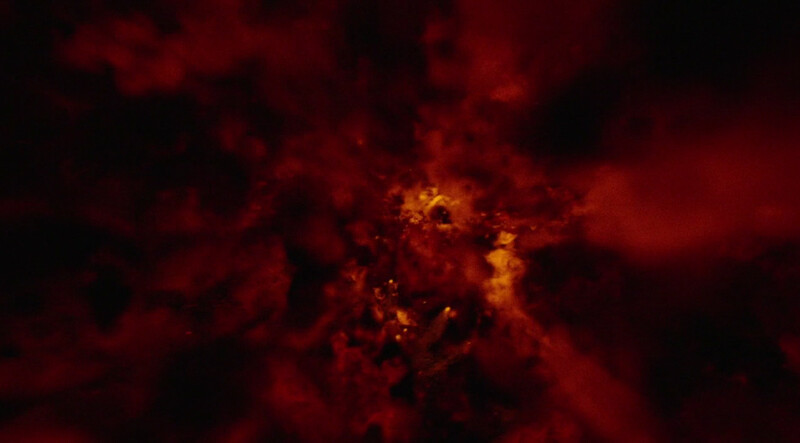 Mankind’s first nuclear test ripped open a gateway between our world and the Lodge. Bob came out through the gap, and in response, Laura was sent out as a counter to him. That deserves some deeper thought, though (by which I of course mean more wild speculation). If the Giant is God, as I guessed earlier, would that make Laura Christ? Certainly, in Fire Walk With Me, she becomes something of a Christ figure, suffering greatly and in the end choosing death over corruption, in the process redeeming the town’s sins. And check out the timing of things here: the bomb goes off in 1945, but things seem to really start happening in 1956. The events of the original Twin Peaks series happen in 1989, 33 years later, which is the approximate age at which Christ is supposed to have died. Not that this is a direct metaphor. Laura was, I think, 18 when she died, not 33. I also don’t think Christ was ever a prostitute (though he did hang out with one). That timing issue also begs the question of where she was all those years. Maybe it just took time to move the pieces into place. To let Bob get comfortable in a host, then (in a grand show of irony) have him undone by that host’s own daughter. But it’s also been demonstrated that the Lodges have a strange relationship to time, so it could be that such spans don’t have much meaning to the creatures that live there. Of course, I’ve long suspected that the Lodges exist completely outside of time. 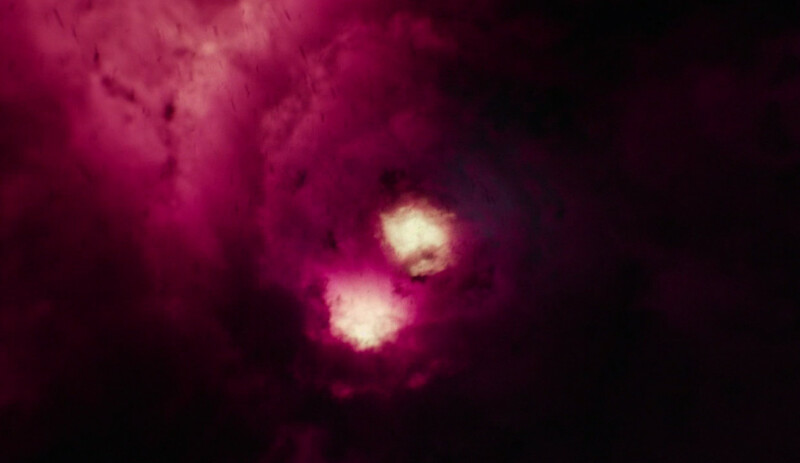 So that nuclear detonation may have been what opened the portals between the worlds to begin with. Time may have leaked out into not-time, and vice versa. Those eggs may have been scattered throughout history. Bob may have entered our world at the dawn of man, a serpent in the Garden of Eden. And Laura may have been right there with him. I always thought that was some kind of oblique reference to Maddy Ferguson, Laura’s identical cousin. And it probably was. But an actual cousin to the Arm would be a spiritual creature of the White Lodge, wouldn’t it? So maybe there was a real, physical Laura Palmer, but there’s also an otherworldly Laura, a spirit of redemption that preceded her, and lives on after her death. That’s how she can be both alive and dead at the same time. And maybe why she’s filled with light. And what about Bob? At first, I thought that was him hatching out of that egg in 1956, in some kind of larval form. But I realized on second viewing that wasn’t right. Bob came through wrapped in a placenta. Whatever that roach-frog-thing is, it came out of one of those eggs suspended in the goo Bob rode in on. It’s something else, and it’s far more disgusting. Though maybe not by much. That’s from a scene earlier in the episode, when Evil Cooper gets shot, and a bunch of the Black Woodsmen come running out the forest to minister to him. There’s some ritual dancing going on, and three of them perform some kind of psychic surgery, digging into his wounds and smearing his face with blood. They pull out what looks like a huge cancerous mass, which is then revealed to have Bob’s face in it (“Bob-as-Cancer” is an idea I can get behind, now that I think of it). They remove Bob, and heal Evil Coop. 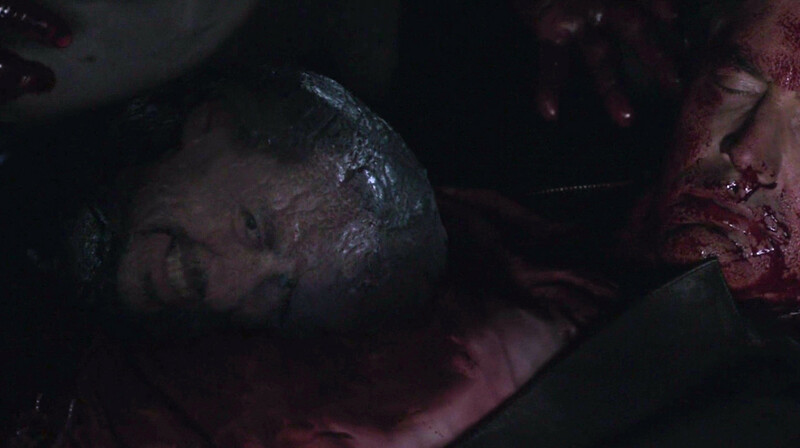 I was pleased to see so much of the Woodsmen in this episode, by the way. We don’t learn exactly what they are, other than some type of malevolent forest spirits in league with the Black Lodge. Which is more than we knew before. Hope they stick around a while, too. They’re neat. 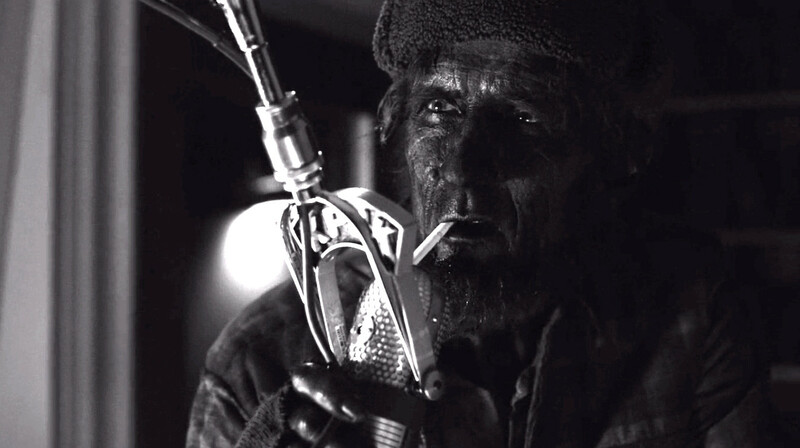 A most welcome addition to Twin Peaks’ array of weird spirits. But we were talking about Bob. Did we witness his birth here, or did he just hitch a ride with the amniotic vomit? And if we did see his birth… Do we have a Beowulf metaphor going on here? Is Bob a stand-in for Grendel? And if so, is the Box Monster Grendel’s Mother? It would be a fun mythological pairing, if we’re supposed to take Laura as Christ. But now I’m rambling. And since I think I’ve finally managed to get this latest Lynch mind-worm out of my head, it’s probably time to shut up. Hope you enjoyed the recap, and the wild speculation. And the pretty pretty pictures, too (I got a little carried away with the screen captures). 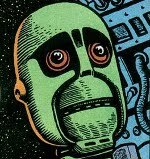 I should be back with those funnybook reviews in a couple of days. Hope to see you then.